I can’t remember how I first stumbled upon Phyllisa’s platform. It may have been a moment where I casually searched Instagram for hashtags and people that referenced blackness and diabetes. Regardless, when I found her page, I was drawn to a satirical skit that dissuaded folks from relinquishing their diabetes care to the Lord. Phyllisa’s post targeted those who neglected their diabetes and refused to become active participants in their care out of belief that the Lord would provide. 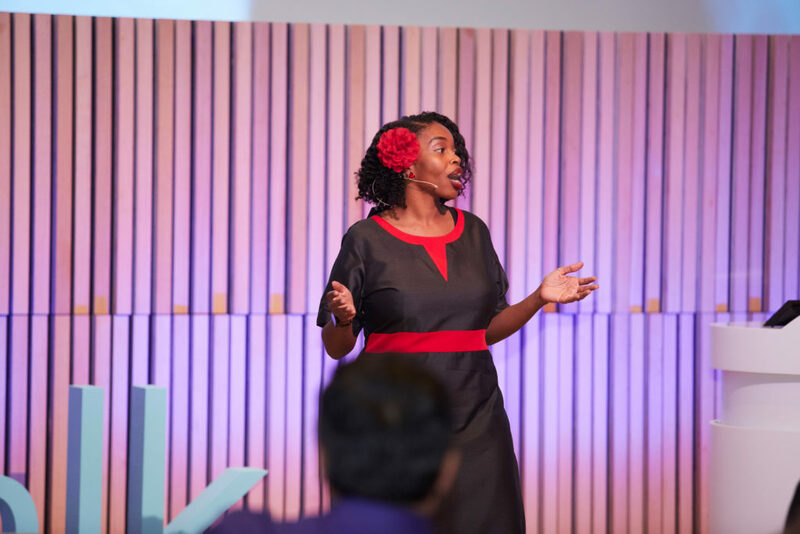 Growing up in a black church where “nothing was too hard for God,” I immediately connected with her message. I understood how this mantra and perception of God led some church members to disown their chronic diseases and/or neglect the daily practices that elicit optimal living. Her poignant word and hilarious delivery hooked me. Someone else was unashamedly discussing the intersections between race, culture, religion, and health. Phyllisa, the writer behind, Diagnosed Not Defeated and the creator of Black Diabetic Info has lived with type 2 diabetes since 2011. Shortly before her diagnosis, a doctor dismissed Phyllisa’s concerns around her diminishing health and depleting energy. Her conclusion: low electrolytes. After fainting in her tub, Phyllisa rushed to a hospital, where during her six-day stay doctors greeted her with dry pamphlets on diabetes, general knowledge on risk factors and very little information on how to confidently move forward with her new prognosis. Shocked at her new condition, frustration about her initial misdiagnosis, and a lonely hospital stay left Phyllisa discouraged. Until then, she perceived diabetes as an old folks disease, supported by memories of “Mother Mary’s” or “Sister Susie’s” who had lost their sight and limbs because of it. But a breakthrough arrived in the form of Nurse Pat, a sister, a black woman, who allowed Phyllisa to “put her head on her bosom and…cry.” In addition to emotional support, Nurse Pat provided meaningful, practical guidance on giving insulin injections. No other nurse had done that. Beyond sharing orange-tinged, faded pamphlets, no other staff member equipped Phyllisa with the necessary skills to manage diabetes at home. Phyllisa was discharged from the hospital, bearing a glucometer with no test strips, and insulin pens with no needles. To complicate matters, the hospital pharmacy refused to accommodate her. In tears, Phyllisa drove to a local Walgreens to buy test strips, where a kind pharmacist walked her through the process of using her glucometer. Besides the bright spot of Nurse Pat, Phyllisa’s hospitalization was a traumatic one. In trying to understand what went wrong at Fayetteville’s premier hospital, Phyllisa mentions assumptions and structural racism. Phyllisa, known to many as Dr. Deroze, is an example of how even well-meaning assumptions can lead to detrimental outcomes. Phyllisa who holds a PhD acknowledges that some hospital staff may have thought she was a medical doctor, already aware of the causes of type 2 and ways to manage it. They may have falsely labeled her, “well-equipped to manage diabetes.” A less accommodating view of her subpar stay is the reality that hospitals and health care systems are sites that reproduce racism, resulting in “differential medical treatment and health care” for minorities. Additionally, economic constraints, lack of access to health care, and health illiteracy, may impede on underrepresented groups’ ability to challenge a provider’s discriminatory practices thereby perpetuating inferior care. Phyllisa is a woman with resolve and sensitivities to divine intervention, characteristics that enabled her to transcend healthcare mistreatment and transform devastating circumstances into a purposeful platform. Two months after her diagnosis, Phyllisa experienced disaster. A tornado toppled her home and flipped the 18-wheeler truck driving ahead of her. Phyllisa now also faced immense loss and the bureaucracy of finding a temporary home equipped with a kitchen. Though she felt broken, supportive family members and joy-filled friends carried her through and reminded her of her blessings. Using gratitude as a motivating force, Phyllisa decided to create what she was seeking, a community led by a young face that acknowledged the complex feelings associated with diabetes. 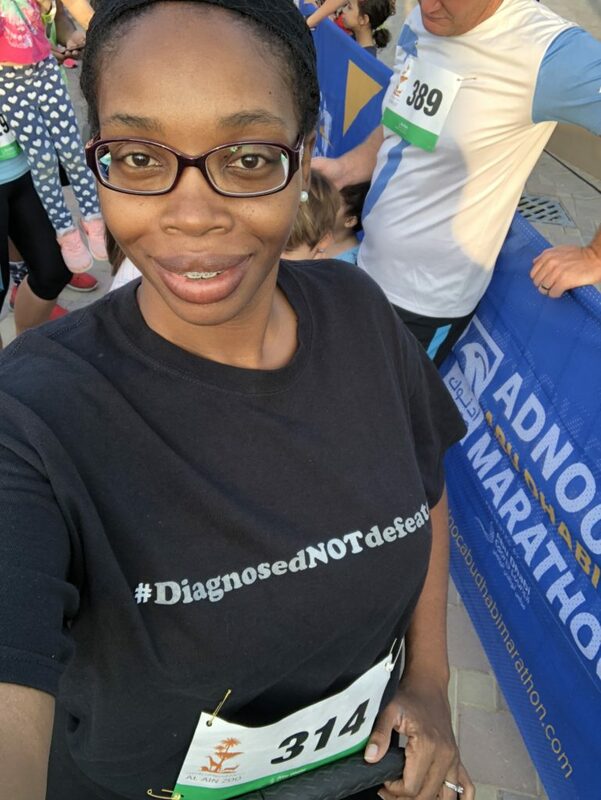 Her first blog post for Diagnosed Not Defeated addressed her friends, letting them in on life leading up to and shortly after her diagnosis. As her platform grew, so did her impact and her ability to inspire other individuals living with diabetes. Within her first year of diabetes, Phyllisa noticed that some of her healthcare providers were not culturally sensitive to her needs. Nutritionists shared eating plans that lacked the familiar and memorable foods that characterized home. As Phyllisa put it, “asparagus and my address did not go well.” The Florida native wanted to know how to healthfully incorporate cultural foods—collards with turkey necks, Jamaican patties, and Hoppin’ John into her life with diabetes. Phyllisa realized that there were community members with diabetes who lacked the educational, communicative and advocacy skills to ask nutritionists these questions. Though they attended nutrition appointments, cultural disconnect led them to return home eating their own foods in portions that weren’t in their best interest. 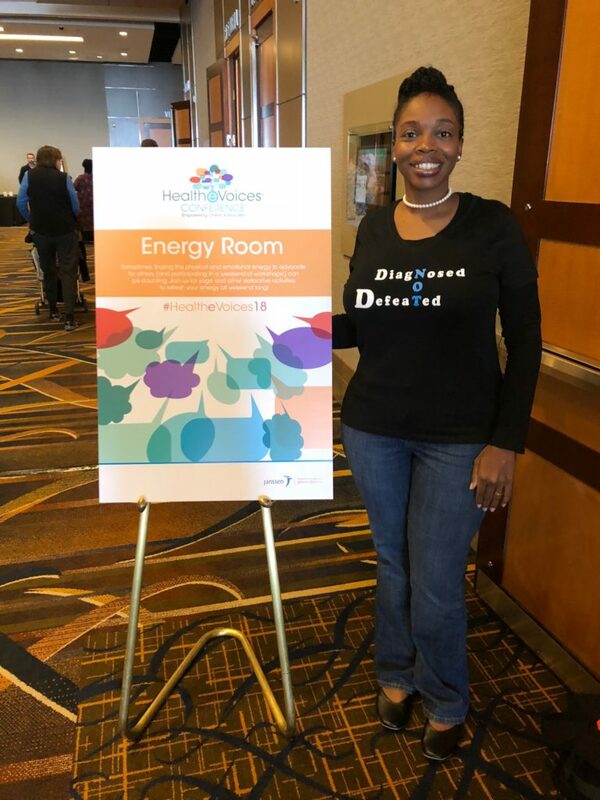 Not only did Phyllisa seek to counter this by providing annual diabetes nutrition workshops in her hometown, but she also created Black Diabetic Info to disseminate knowledge and educate black communities facing diabetes in ways that were accessible to them. The idea of being relatable to her community is important and is seen through Phyllisa’s use of common colloquiums and informative videos. Aware that members of underrepresented groups experience higher rates of illiteracy, Phyllisa relies on videos that mix humor and facts to expand her reach. 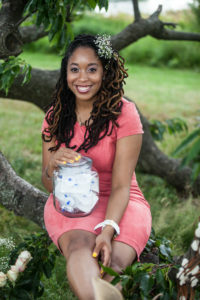 By shamelessly telling her story and educating black communities around diabetes, Phyllisa meaningfully impacts the diabetes space. Her diabetes advocacy resume is extensive. 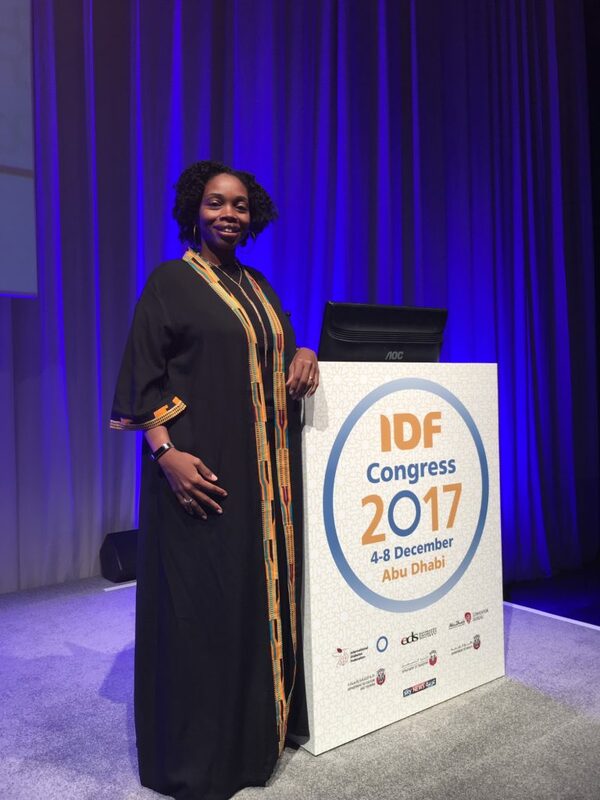 In 2018, alone, she has led two Abu Dhabi based Peer-to-Peer Support groups, spoke at Novo Nordisk’s DEEP Summit, served as an Advisory Board member for HealtheVoices, appeared on the cover of Guide to Diabetes, and was featured in Diabetic Living magazine. And these are only half of her accomplishments for the last year, with more great opportunities in store for 2019. Undoubtedly, Phyllisa has done wonderful things. But would you believe that for the first six years of her online platforms, she used an alias? I get it—discrimination and judgments are real, and being black, woman and disabled can be especially heavy at times. However, I am so glad that Phyllisa made the intentional choice to own her story and attach her name to it. She is a great example of walking in one’s purpose even when “scared, brave, or timid.” The diabetes community is better because of it.